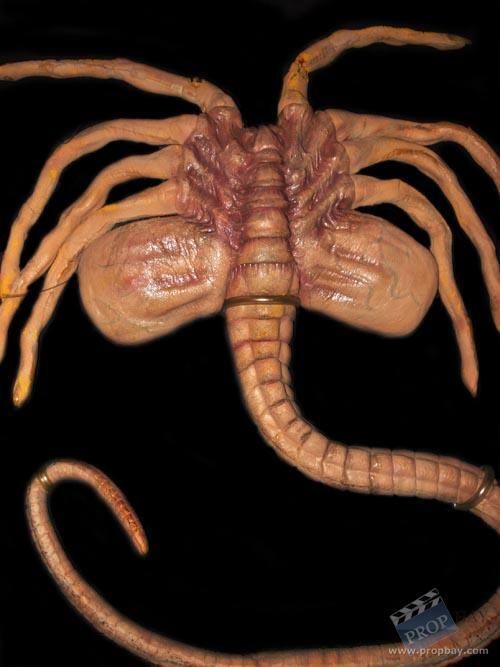 Screen used facehugger from the scene where Ripley and Newt get attacked in the Med Lab. This is a 'floppy' foam latex facehugger with a fine pull string attached where it was pulled towards the camera in a leaping action. This particular facehugger can be seen in the making of Aliens in the quadrilogy box set, with James Cameron giving direction to the FX guys to pull it towards the camera. Added: 04-29-2012 - Viewed: 2851 times.